It has been over 20 years since Mamoru Mohri, who is the first Japanese to travel to space on the Space Shuttle, went to space in Sept. 1992. 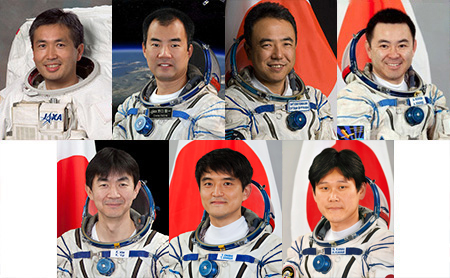 During these years, many Japanese astronauts have made various achievements including Astronauts Chiaki Mukai, Koichi Wakata, Takao Doi, Soichi Noguchi, Akihiko Hoshide, Naoko Yamazaki, and Satoshi Furukawa. Recently, Astronaut Wakata stayed at the International Space Station as a crew member of the Expedition 38/39 crew between Nov. 2013 thru May 2014, and he led the team as the first Japanese ISS commander during the latter half of his stay, Expedition 39. In July 2011, three JAXA astronauts, Kimiya Yui, Takuya Onishi, and Norishige Kanai, were certified as ISS astronauts. Astronaut Yui completed his first ISS expedition mission between July 23 and Dec. 11, 2015, and Astronaut Onishi and Astronaut Kanai are also assigned to a long-stay mission at the ISS in 2016 and 2017 respectively. 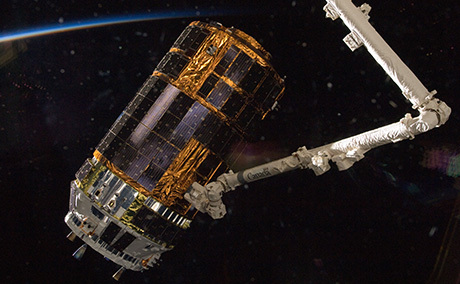 JAXA astronauts have been contributing to the ISS project through assembly work of the ISS and the Kibo, the Japanese Experiment Module, and have accumulated experience and knowledge. By utilizing these skills, the astronauts mainly perform the following tasks while they stay at the ISS. 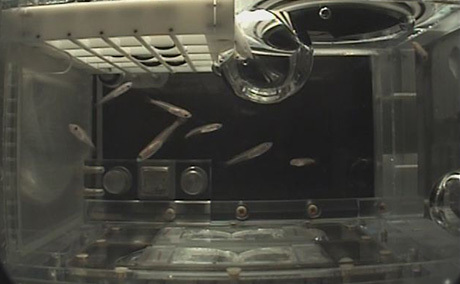 Space experiments utilizing the environment that is different from Earth such as microgravity and high vacuum. Maintaining the ISS systems including those for electricity, communications, environment control, and experiment support. 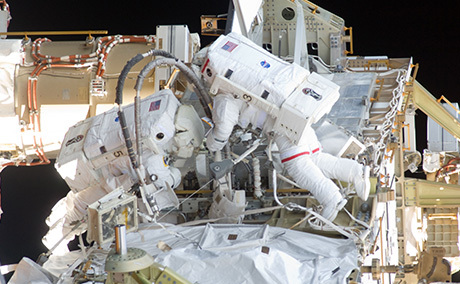 Repairing and maintaining the ISS. Using the ISS and Kibo robotic arms, installation, exchange and repair of experiment instruments and test materials are conducted. The arms are also used for capturing rendezvous and berth type spacecrafts such as the KOUNOTORI and Cygnus. To carry out some repair and maintenance work on the ISS as well as experiments that cannot be conducted by a robotic arm. Needless to say, astronauts need to have expert knowledge of science and technology. In addition, they are required to be fluent in English, in order to communicate with astronauts from different countries who live and work with them. Astronauts have been selected based on the screening of application documents; a series of written exams on the English language, general and specialized knowledge of natural science, interviews, and medical and psychological examinations. After being selected, astronaut candidates undergo Basic Training. They obtain basic knowledge and technical skills in space engineering, space science, space medicine, the Space Shuttle and ISS systems, the English and Russian languages. They also receive flight training and physical training. 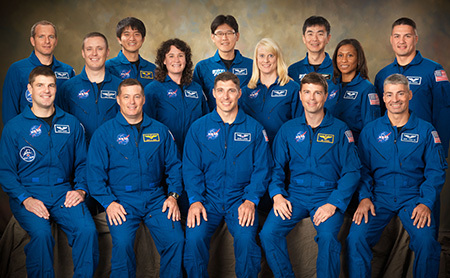 Upon completion of Basic Training, they are officially certified as astronauts and receive more advanced training in the operation of spacecraft systems and experimental equipment, as well as training to work in space. They also continue with language instruction, flight training, and physical training. 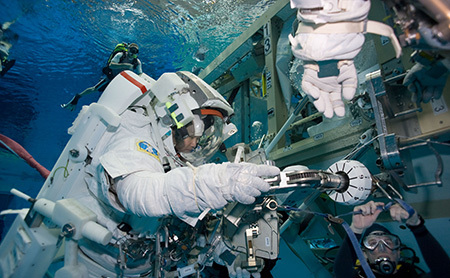 After assignment to a specific ISS mission, astronauts receive training in the specific tasks to be conducted during launch, in orbit, and on return, and participate in simulation training along with other astronauts and flight controllers. but for participation in the ISS, Japanese astronauts, training sessions will be conducted mainly at JAXA. 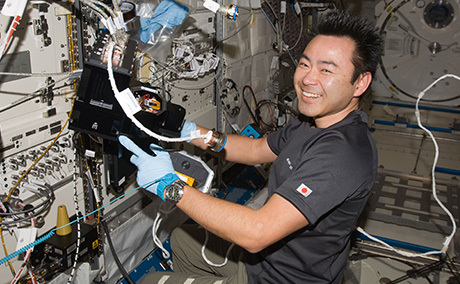 Interview: Takuya Onishi, JAXA Astronaut "Bringing Space Closer to Young People"